The versatility of Magswitch Technology has opened up so many applications that can be performed significantly faster and much more safely. We provide a whole range of expertise from design engineering, manufacturing and delivery to marketing and customer service. Combining the technology with our expertise, we can create custom product solutions that fit your needs and budget. Our Application Engineers will work with you to determine your needs in order to design, deliver and support your solution for years of reliable service. 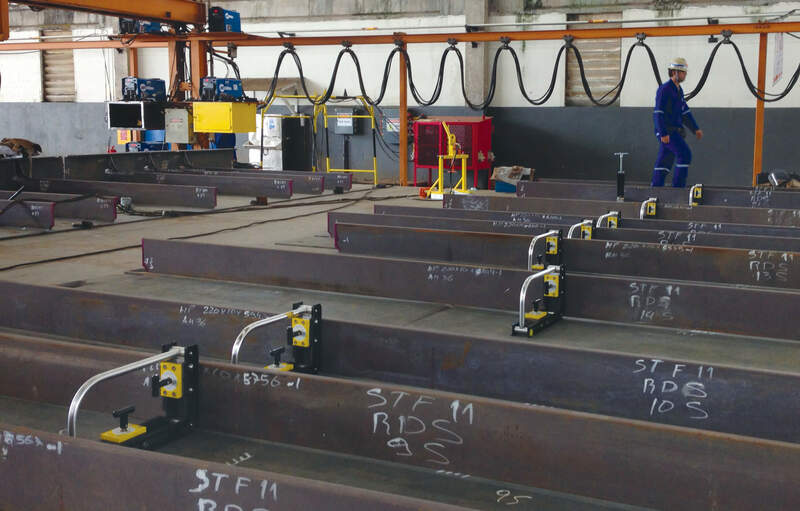 We also provide Automation Solutions and Heavy Lifting Solutions. Collaborative design and complete manufacturing of private label products utilizing Magswitch Technology. 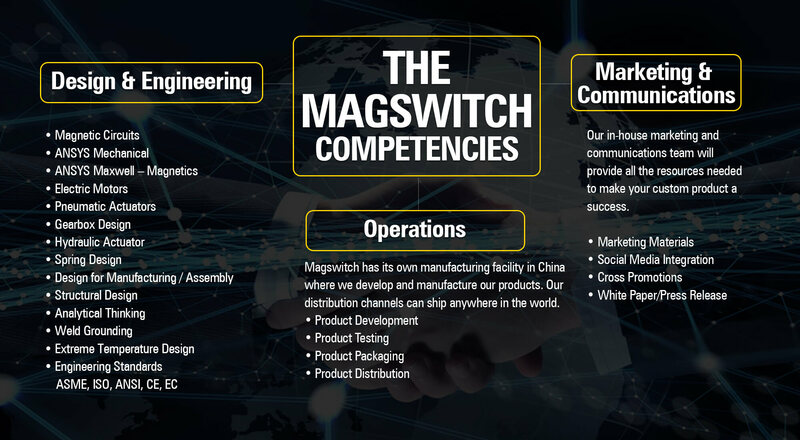 Strategic partnership with other businesses for development, manufacturing, and marketing of products utilizing Magswitch Technology. If you have a custom application or an odd problem that needs a solution, our Application Engineering team will work with your from concept to final delivery!